Brief Synopsis – Following a tragedy, an author hires a student for the summer in order to help him finish his latest book. My Take on it – This is a film that I had high expectations for largely due to the cast. I was sorely disappointed because the story presented here despite having potential is presented in a very strange way that takes away from keeping it interesting as it should be. The story move sin crazy directions and it feels as if they are trying to keep information hidden from the audience for as long as possible but when things are eventually revealed, it is very different from what is expected. The story is unable to stay consistent throughout and lacks a real focus. This is largely caused by too many scenes that are presented in a very esoteric fashion. Some of those scenes are extremely slow paced and are borderline boring which also takes away from any impact this story could possibly have. 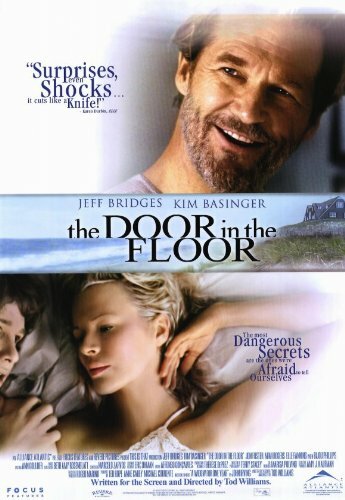 Jeff Bridges is usually a great actor, but the way that he plays this character is problematic because even he feels lost with the direction of this role. None of the characters in the story are memorable enough and it’s quite difficult to care about what will happen to any of them as things move along. This film is based on “part” of a novel by John Irving. Without having read the source material, it seems as if this is just a poor adaptation and perhaps if it had been a full adaptation of the entire novel, maybe things would have been more intriguing. Bottom Line – Film that starts off interestingly but gets way too crazy along the way. The story doesn’t remain consistent throughout and due to a lack of real focus, many scenes are too esoteric and in some cases quite slow and boring. Bridges usually is able to do amazing things with his performances, but even he feels lost here. None of the characters are quite memorable and it’s very difficult to care what will happen to any of them as the plot moves in very unique and uninteresting directions throughout.